A deadly arctic deep freeze enveloped the Midwest with record-breaking temperatures triggering widespread closures of schools and businesses, and prompting the U.S. Postal Service to take the rare step of suspending mail delivery to a wide swath of the region. 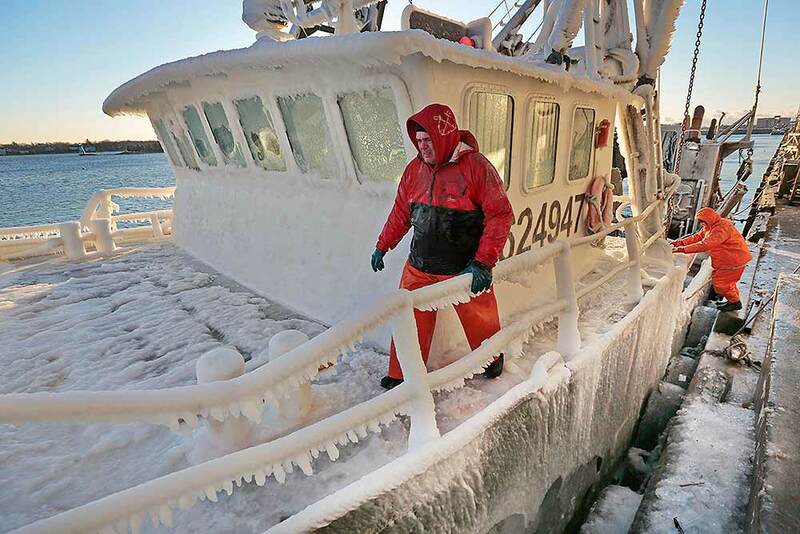 Mike Calen, left, and Steve Goyette, right, prepare to tie off as the ice covered fishing boat, Buzzards Bay, arrives at New Bedford, Mass., harbor due to the extreme cold conditions. 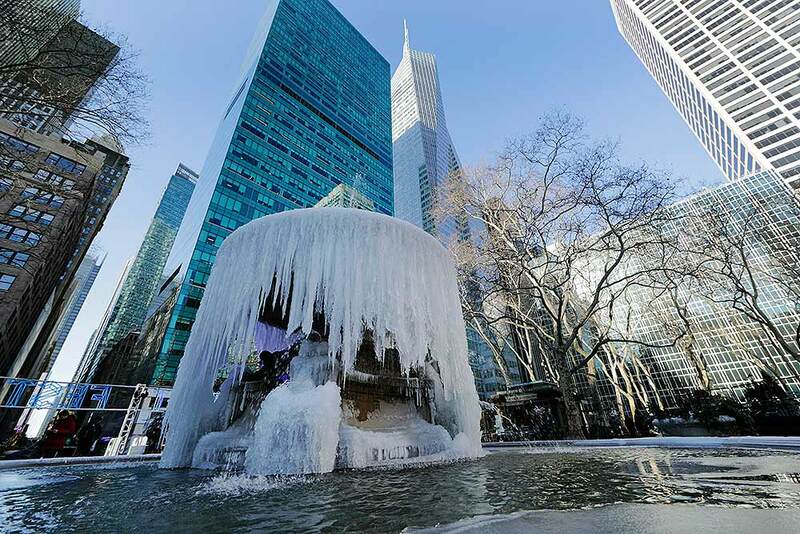 Pedestrians pass a frozen water fountain at Bryant Park in New York. 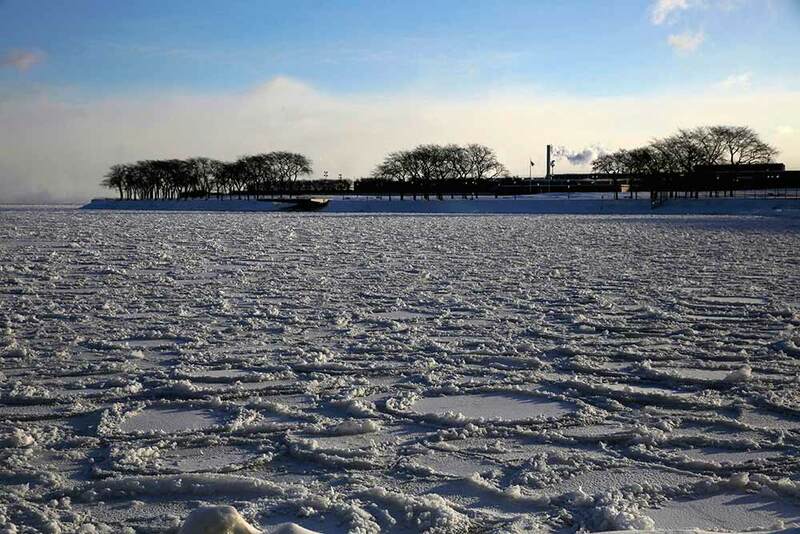 The polar vortex that brought many cities to a standstill was expected to come to a swift end with a rapid thaw that experts say could be unprecedented. But the sudden swing from long johns to short sleeves could create problems of its own. 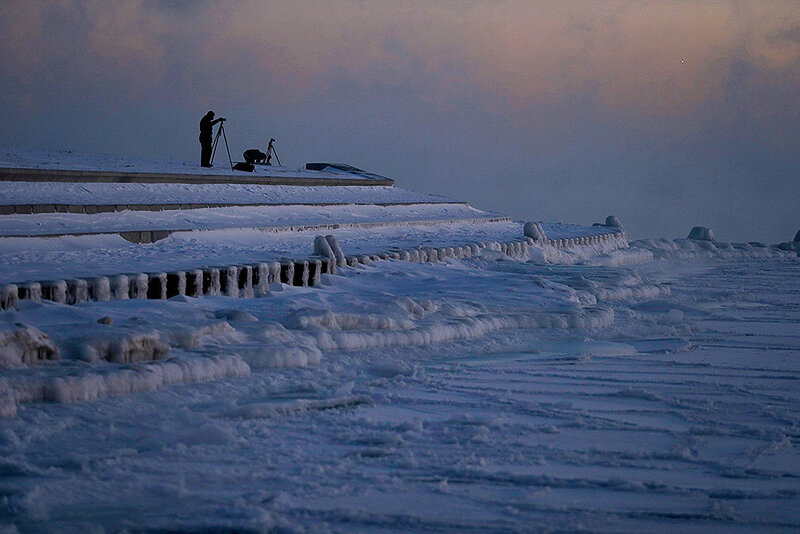 Photographers set up tripods along the shore of Lake Michigan before sunrise, in Chicago. Ice forms along the shore of Lake Michigan before sunrise in Chicago. 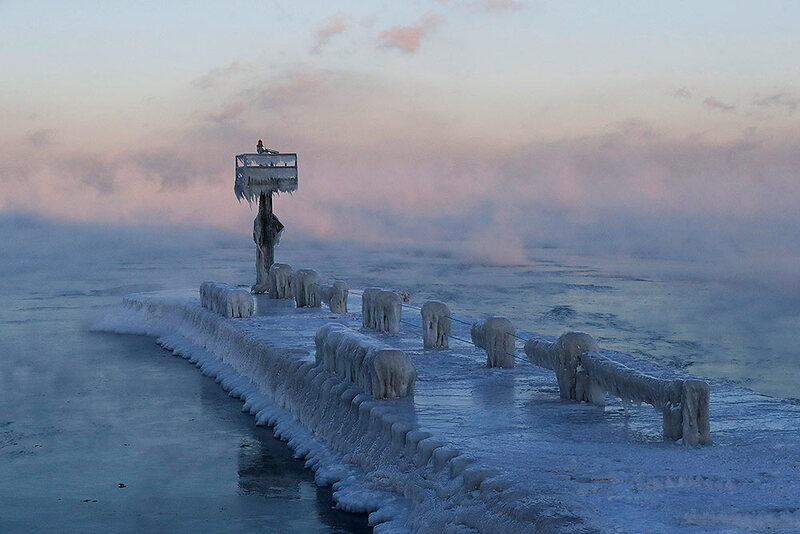 The painfully cold weather system that put much of the Midwest into a historic deep freeze was expected to ease Thursday, though temperatures still tumbled to record lows in some places. 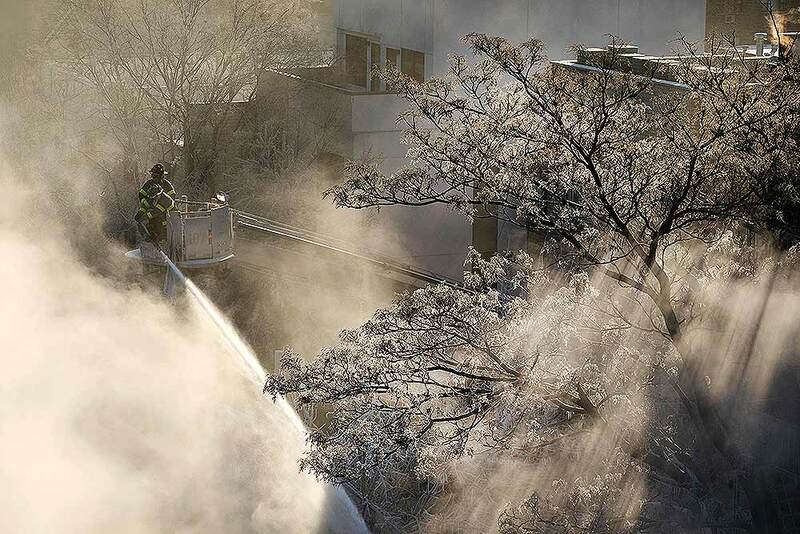 Ice forms on tree branches as New York firefighters battle a blaze in a commercial building in the Bedford Stuyvesant neighborhood of Brooklyn in New York. 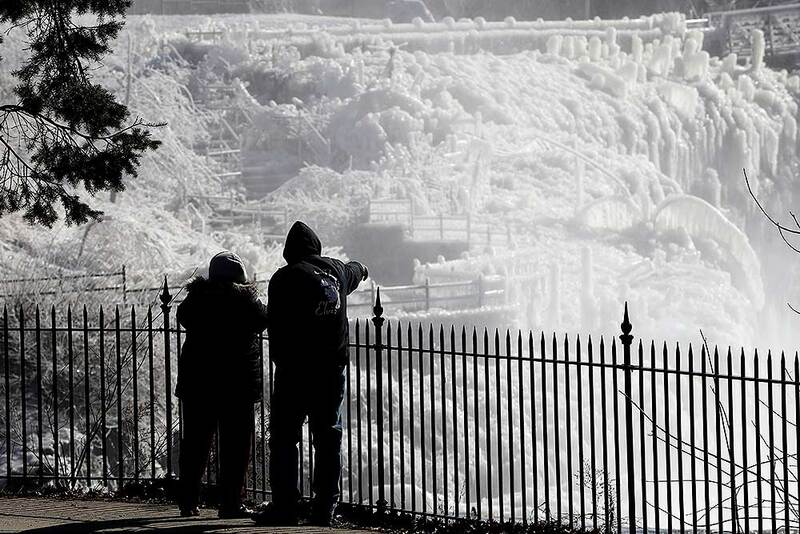 Firefighters around New York state have been grappling with brutal cold during big blazes. 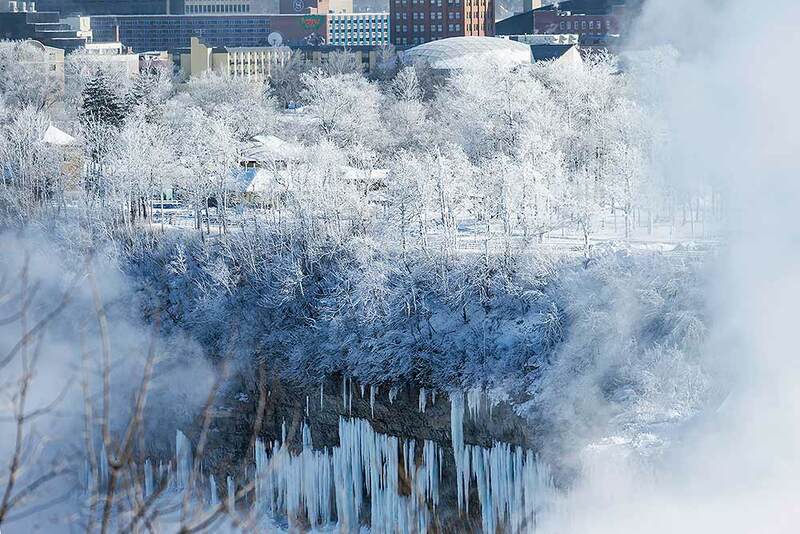 Ice and snow paints the trees next to the American Falls seen from Niagara Falls, Ontario, Canada. 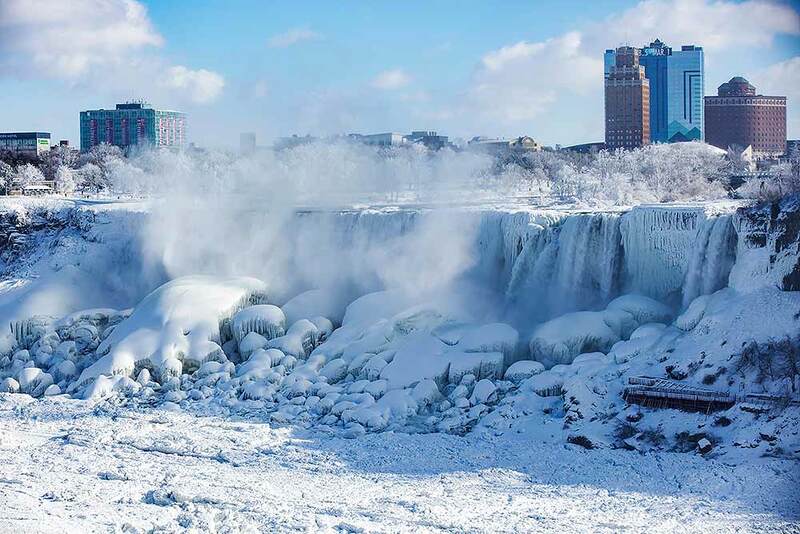 Ice and water flows over the American Falls, seen from Niagara Falls, Ontario, Canada. 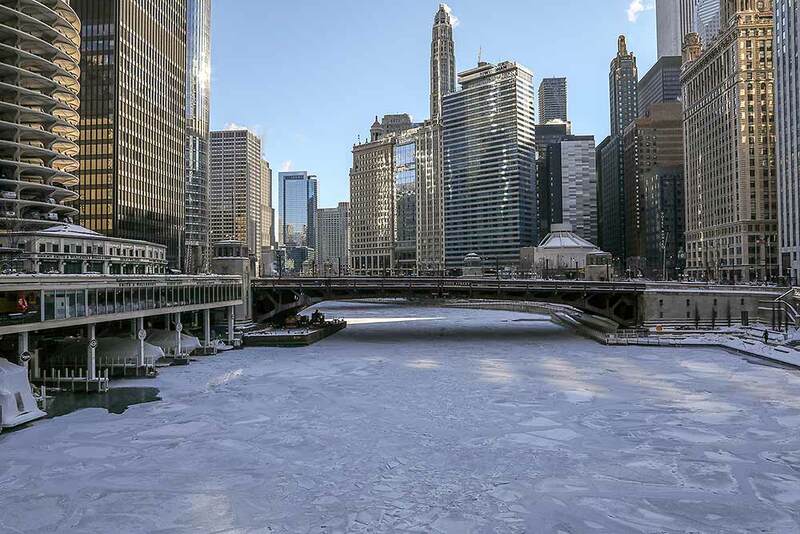 Ice covers the Chicago River in Chicago. A deadly arctic deep freeze enveloped the Midwest with record-breaking temperatures triggering widespread closures of schools and businesses. 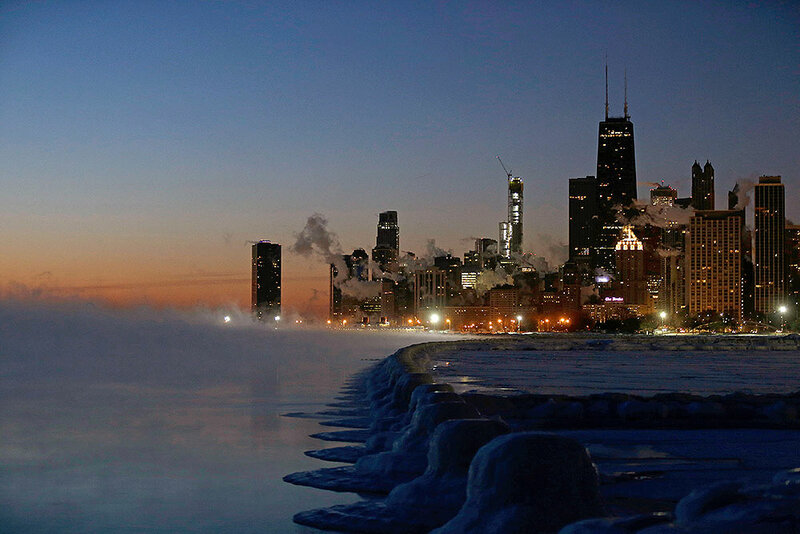 Ice forms along the shore of Lake Michigan before sunrise in Chicago. 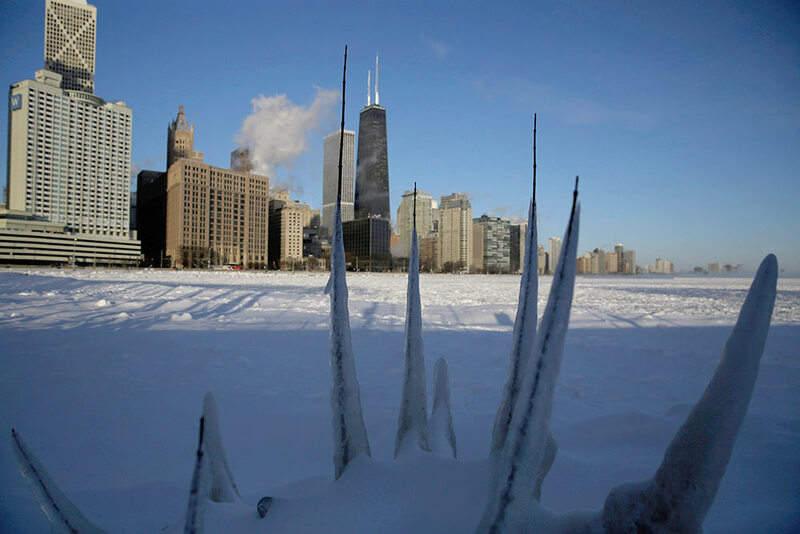 A deadly arctic deep freeze enveloped the Midwest with record-breaking temperatures. Ice forms along the shore of Lake Michigan before sunrise in Chicago. 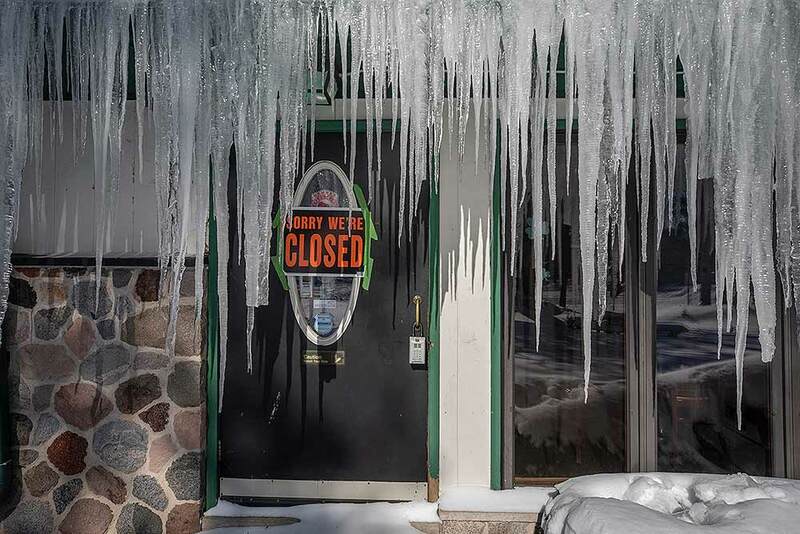 Icicles hang in front of a door at a bar in Mequon, Wisconsin as temperatures were sub-zero and wind chills were -50 degrees. 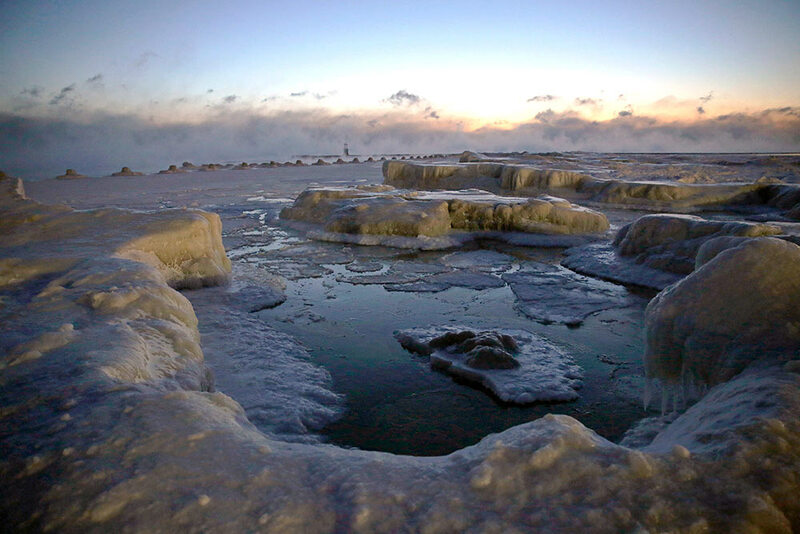 Ice forms along the shore of Lake Michigan before sunrise in Chicago. A deadly arctic deep freeze enveloped the Midwest with record-breaking temperatures triggering widespread closures of schools and businesses, and prompting the U.S. Postal Service to take the rare step of suspending mail delivery to a wide swath of the region. 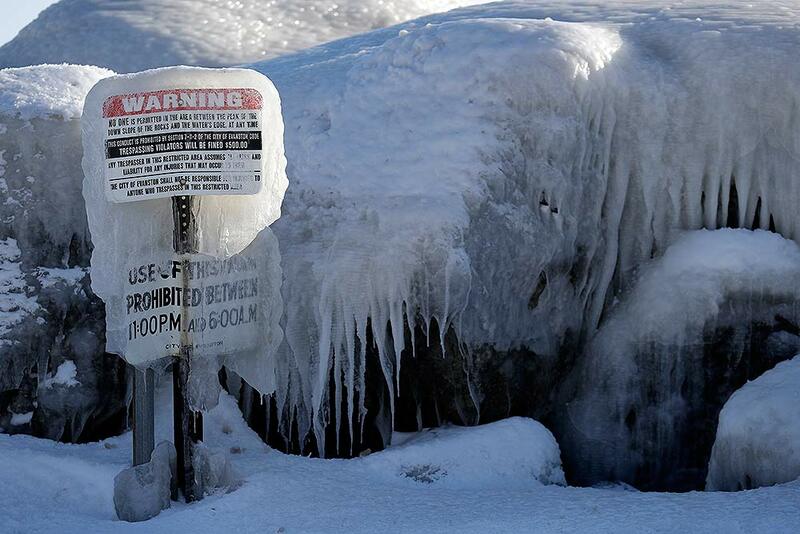 A warning sign is covered by ice at Clark Square park in Evanston, Illinois. 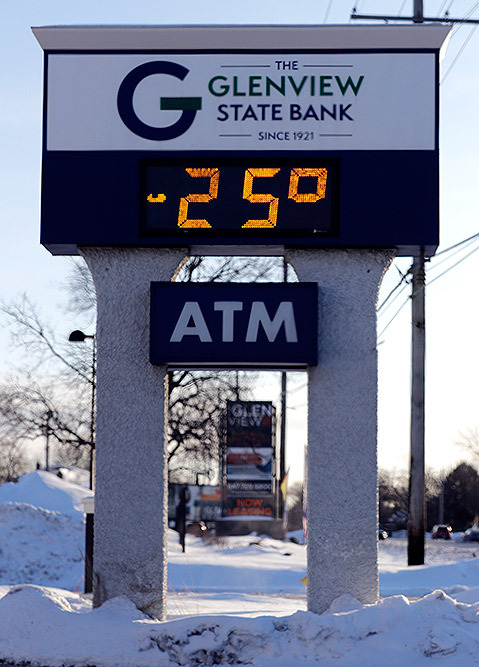 A sign shows the current outdoor temperature in Glenview, Illinois. Ice is seen on the side of the Great Falls National Historic Park as a couple takes in the sights during a frigid winter day, in Paterson, New Jersey. The cold snap followed a snowstorm and snow squalls are expected in the afternoon before temperatures continue to dip below the freezing point. 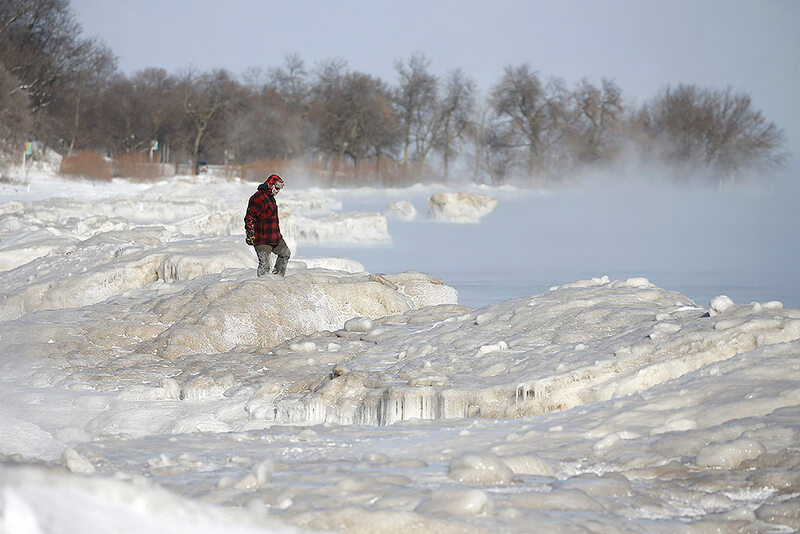 A man walks along Lake Michigan in Milwaukee. Temperatures were sub-zero and wind chills were -50 degrees. A harbor light is covered with snow and ice on the Lake Michigan at 39th Street Harbor in Chicago. 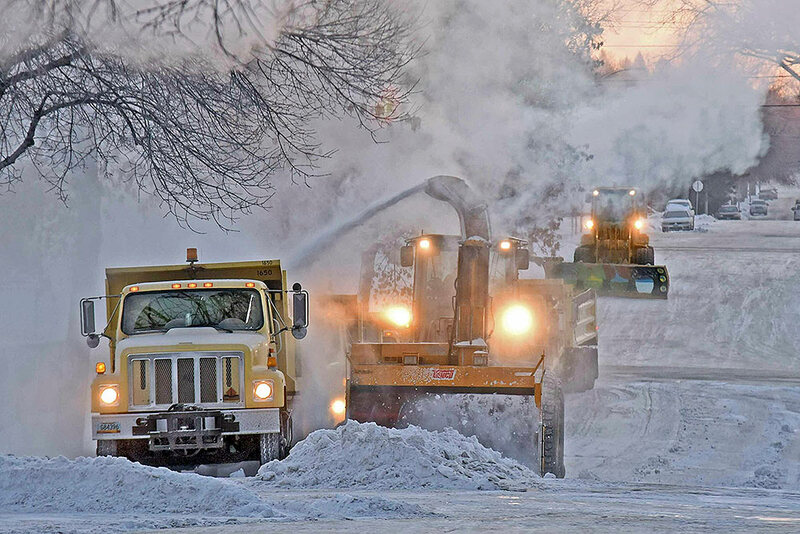 Bismarck city snow crews remove snow in the minus 33 degree temperature from Avenue E and Second Street near St. Mary's Central High School in Bismarck, North Dakota. 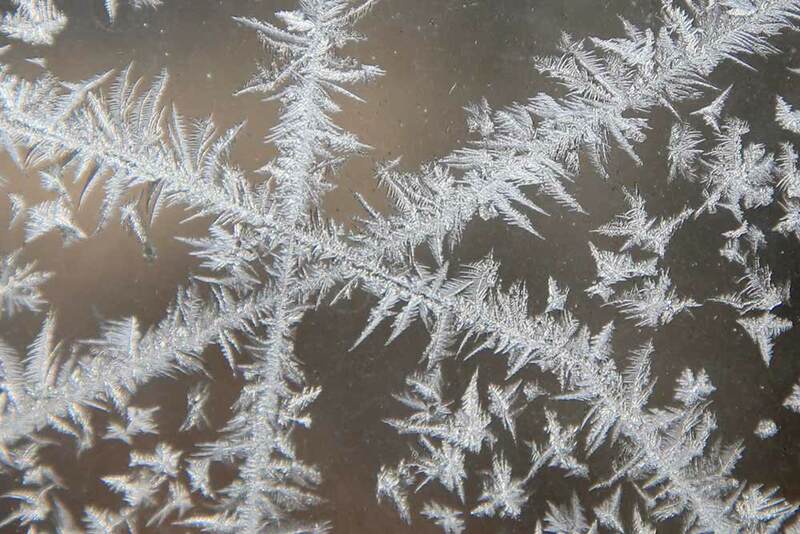 Frost forms on a window in Lawrence, Kansas. Overnight temperatures dipped below zero. The area is under a wind chill advisory. A person walks along the lakeshore in Chicago. 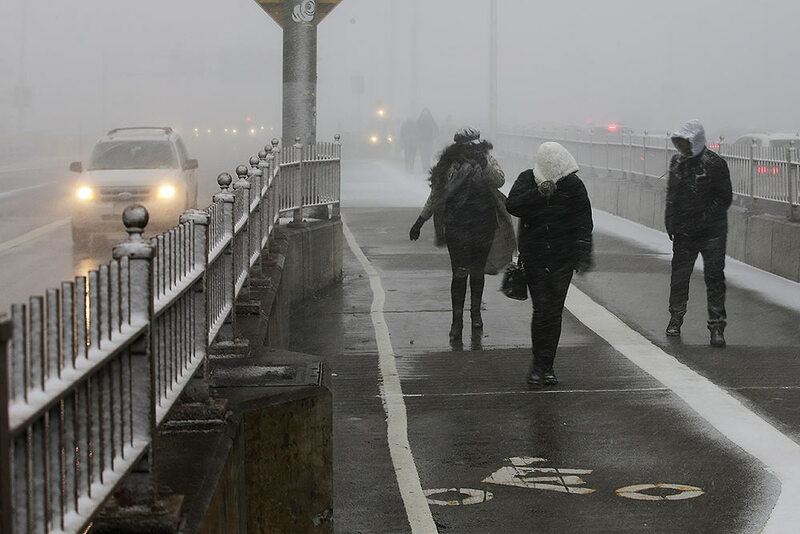 Pedestrians walk across the Brooklyn Bridge during a snow squall in New York. 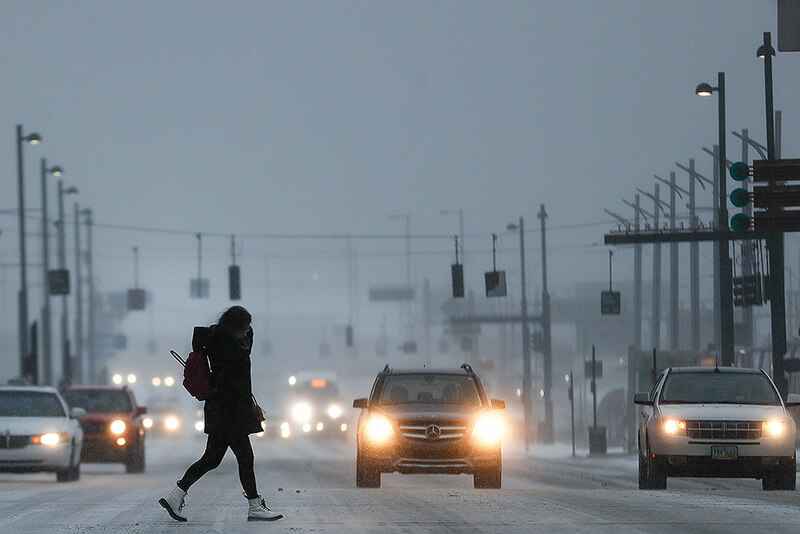 Commuters braves the wind and snow in frigid weather in Cincinnati. 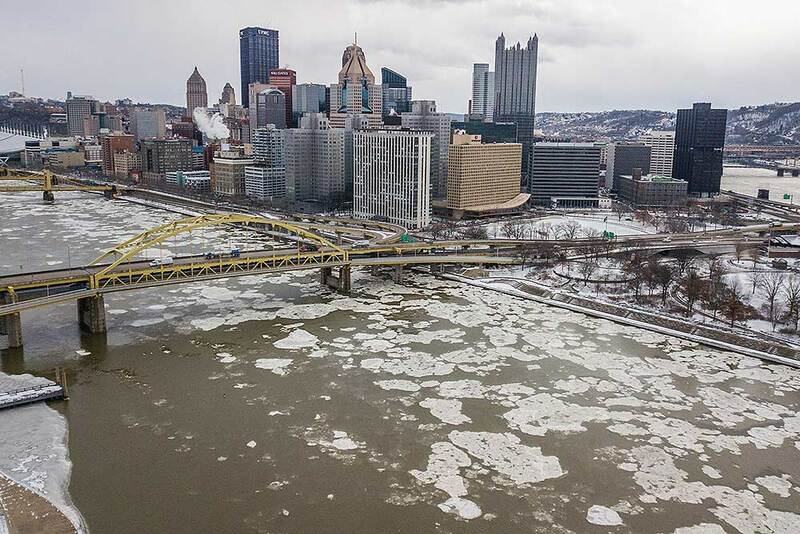 The extreme cold and record-breaking temperatures are crawling into a swath of states spanning from North Dakota to Missouri and into Ohio after a powerful snowstorm pounded the region earlier this week. 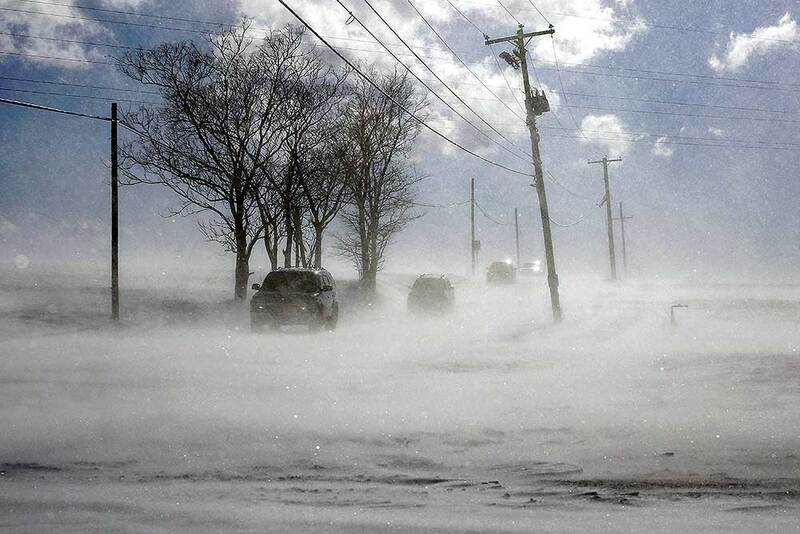 Drifting snow blows across PA-772 near Mount Joy in Lancaster County, Pennsylvania. A bitter deep freeze is moving into the Northeast from the Midwest, sending temperatures plummeting and making road conditions dangerous. 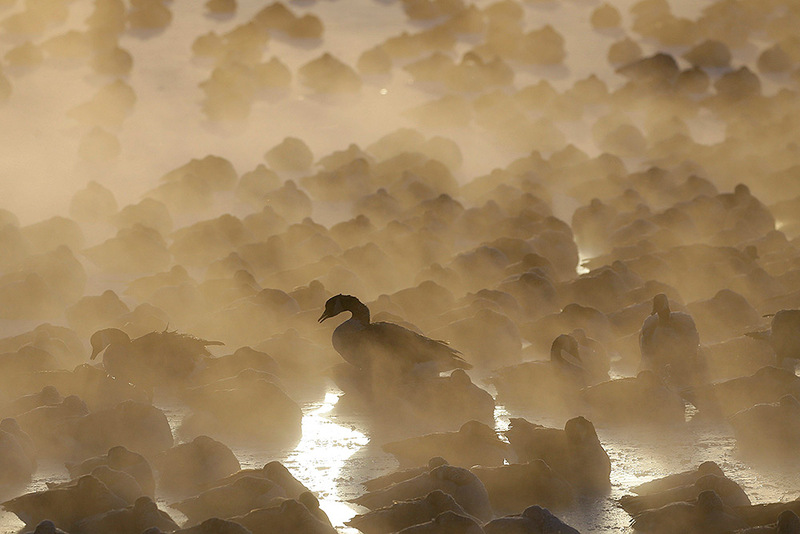 Geese huddle in the water as the sun rises at the harbor in Port Washington, Wisconsin. 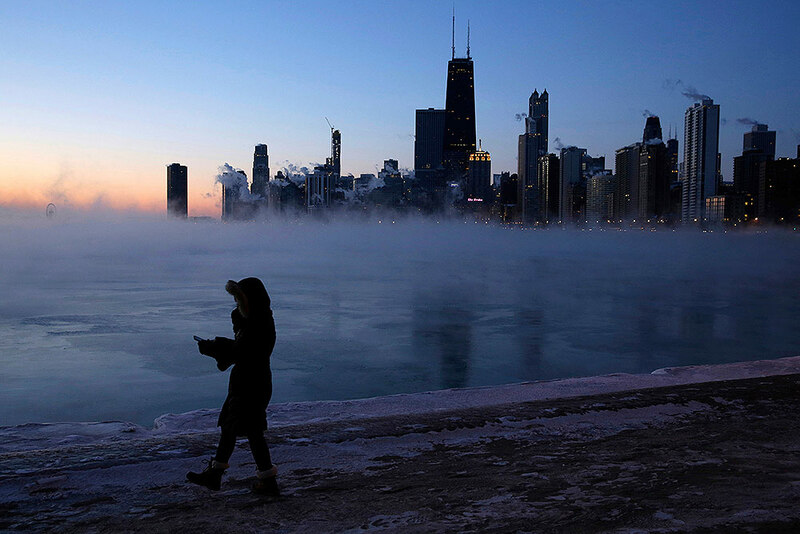 A deadly arctic deep freeze enveloped the Midwest with record-breaking temperatures. 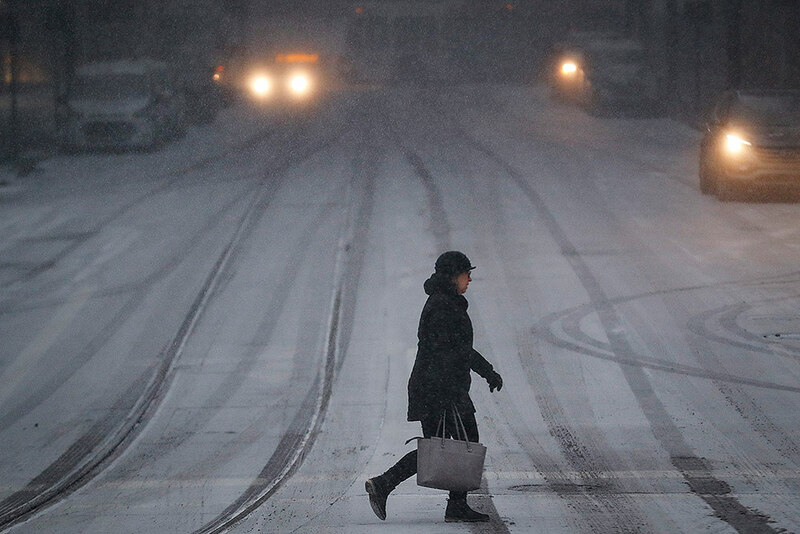 A commuter braves the wind and snow in frigid weather in Cincinnati.